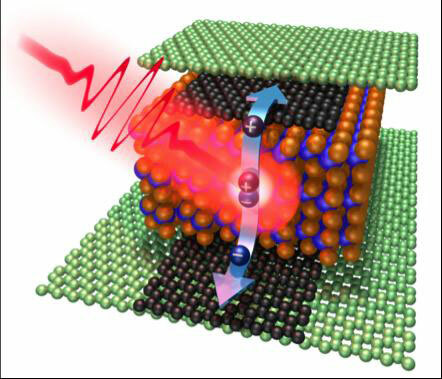 A detailed analysis of the electrical characteristics of a tiny transistor made from 2 quantum dots could help researchers design better devices to manipulate single electrons. 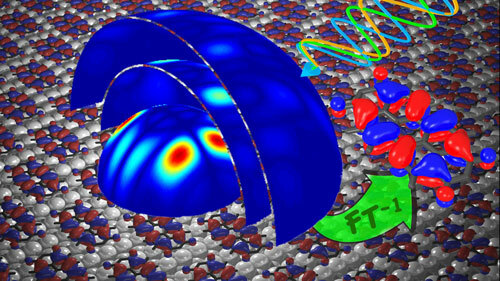 New work details how electronic properties at the edges of organic molecular systems differ from the rest of the material. 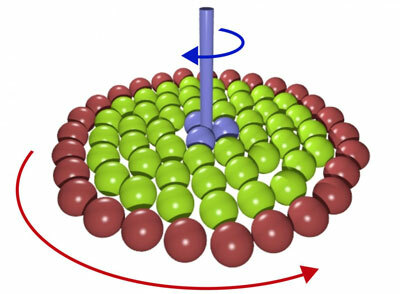 New physical effect: researchers discover a change of electrical resistance in magnetic whirls. 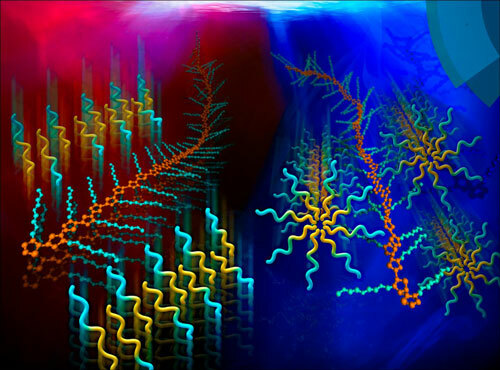 Today, formation of that polymer assembly requires solvents that can harm the environment, but scientists have found a 'greener' way to control the assembly of photovoltaic polymers in water using a surfactant - a detergent-like molecule--as a template. 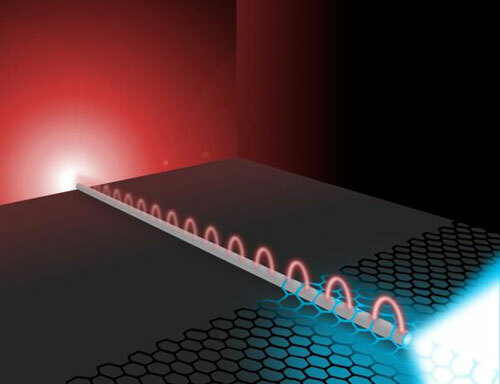 Researchers show that a two-dimensional crystal, combined with graphene, has the capability to detect optical pulses with a response faster than ten picoseconds, while maintaining a high efficiency. Perovskite solar cells are cheaper to make than traditional silicon cells and their electricity conversion efficiency is improving rapidly. 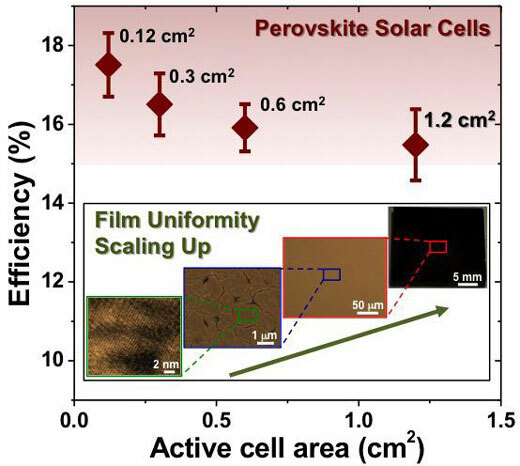 To be commercially viable, perovskite cells need to scale up from lab size. 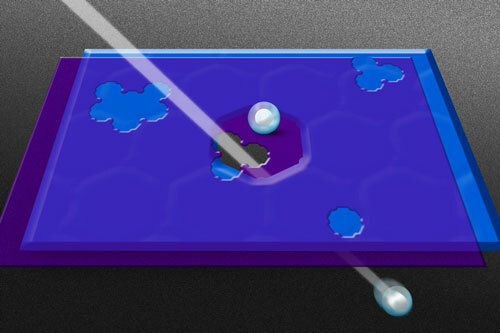 Researchers report a method for making perovskite cells larger while maintaining efficiency. 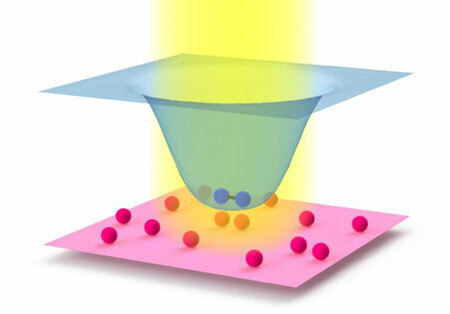 The quest to control and understand the intrinsic spin of electrons to advance nanoscale electronics is hampered by how hard it is to measure tiny, fast magnetic devices. Applied physicists offer a solution: using heat, instead of light, to measure magnetic systems at short length and time scales. Like biological channels, graphene pores are selective for certain types of ions. Inspired by a naturally occurring material found in marine mussels, researchers have created a new flame retardant to replace commercial additives that are often toxic and can accumulate over time in the environment and living animals, including humans. A quantum logic gate in silicon built for the for the first time, making calculations between two qubits of information possible. Scientists used a transmission electron microscope to record almost 3500 images in 3.5 seconds for the reconstruction of a 3D electron tomogram. 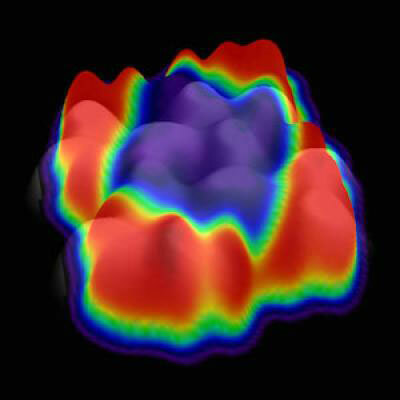 Electron orbitals provide information on the whereabouts of the electrons in atoms and molecules. 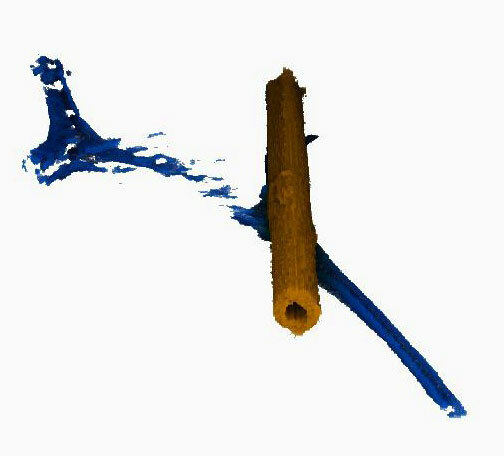 Scientists have now succeeded in experimentally recording these structures in all three dimensions. They achieved this by further developing a method they had already applied two years ago to make these orbitals visible in two dimensions. 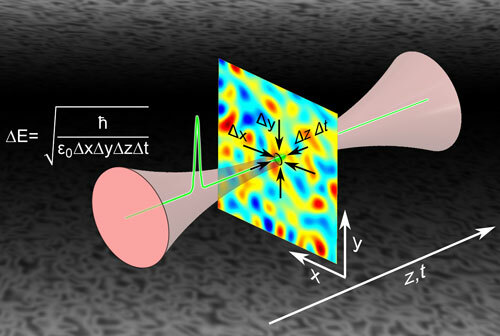 Researchers have assembled model microscopic system to demonstrate the transmission of torque in the presence of thermal fluctuations - necessary for the creation of a tiny 'clutch' operating at the nanoscale. 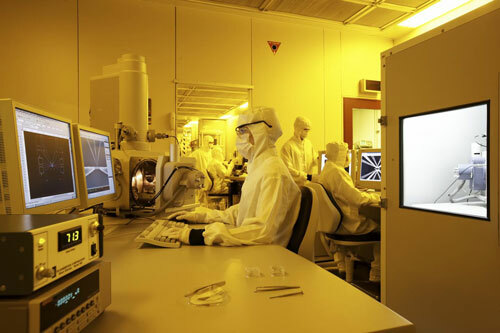 Researchers have fabricated a device in which light can induce a current using a silver nanowire - an important step toward harnessing light to speed up the next generation of circuits. So far, physicists have assumed that it is impossible to directly access the characteristics of the ground state of empty space. 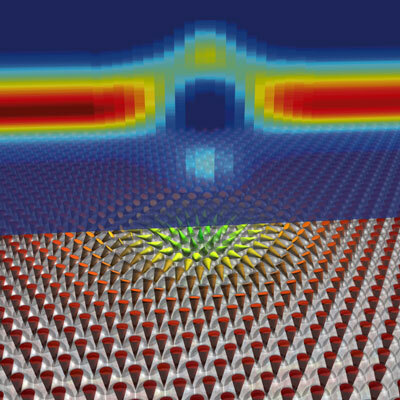 Now, a team of physicists has succeeded in doing just that.